Going back to its heritage Grays has released this classic racquet with its original artwork. 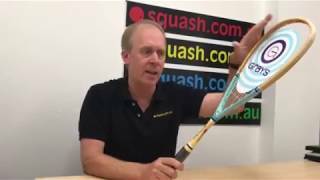 The Light Blue Supreme has been part of the Grays Squash Range since 1855 when John Gray was producing the famous wooden squash racquets. This frame is the ultimate classic racquet and with a nice modern makeover including the woodgrain look!.